I like to play my harmonica by the water… here is a clip of me playing at Golden Gate Park. 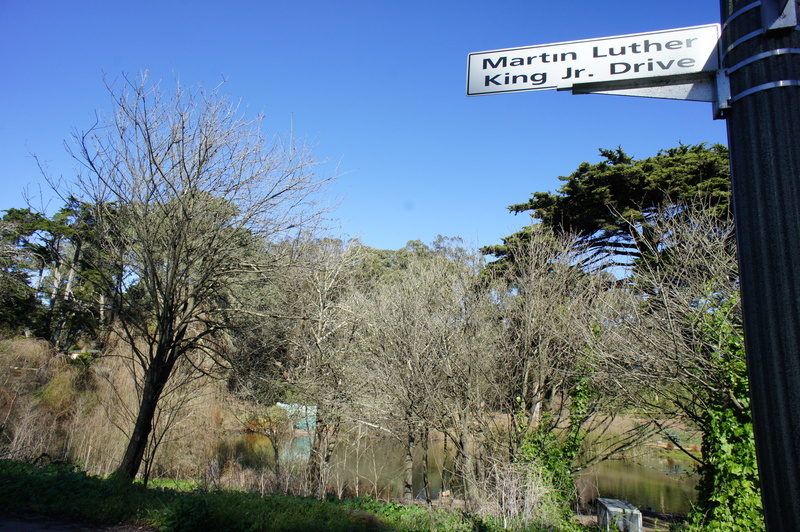 Dr. Martin Luther King Jr. Drive In SF. 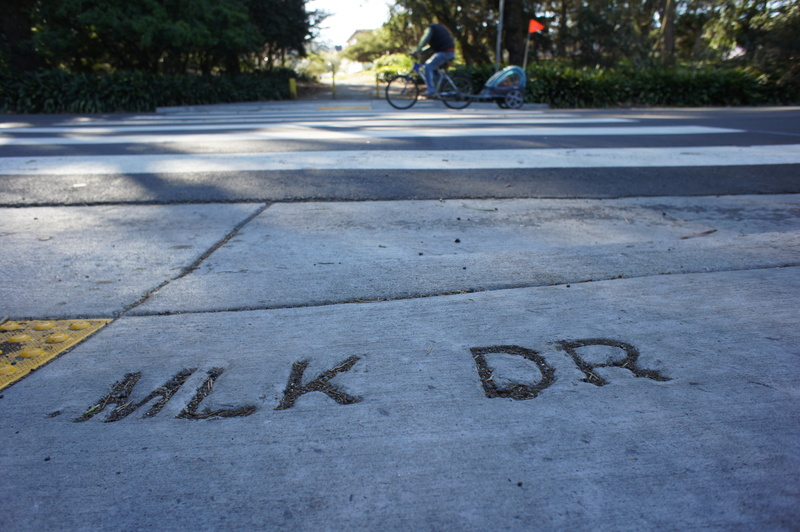 “…He called me and said: I’m lost & I’m on MLK… I said: run!”- Unknown comedian. 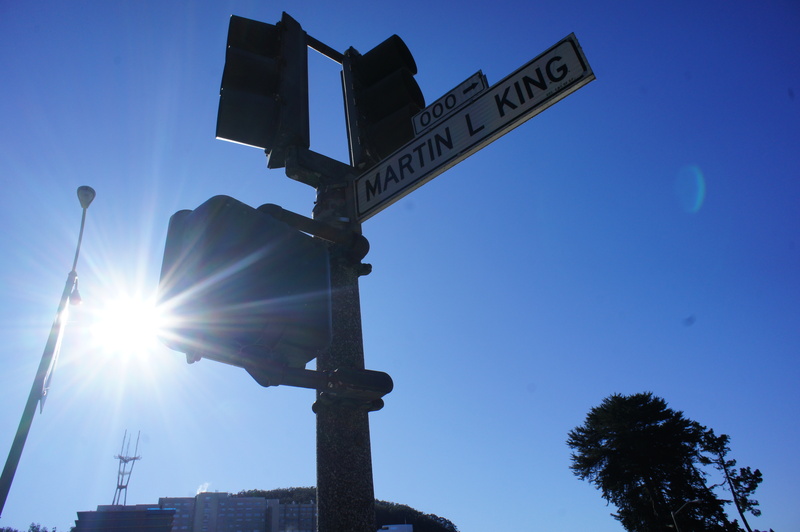 MLK Ave. / Boulevard/ Street / Drive / Way … always seems to be in the hood. Always. 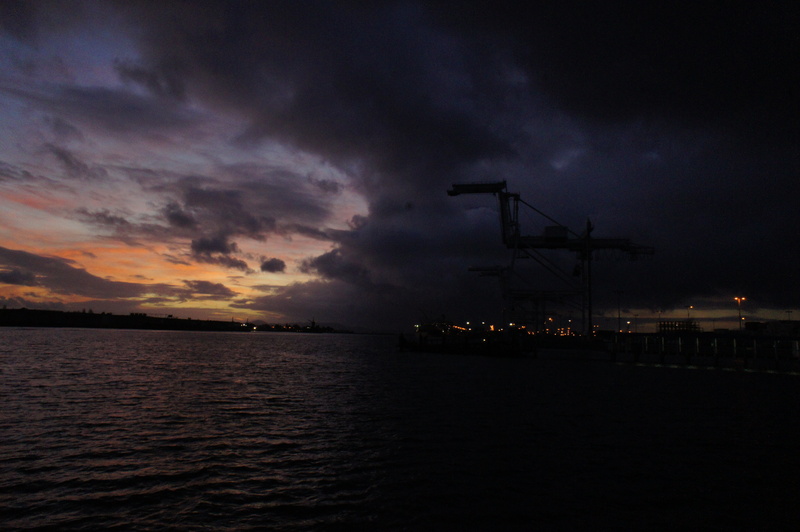 Last year I walked down Oakland’s MLK Way through a foggy North Oakland to the pier in Oakland’s Jack London Square, just outside of West Oakland. The year prior I walked through South East Washington DC by the Big Chair and Frederick Douglass’ house in order to capture the sights of MLK Ave. in the Nation’s Capitol. 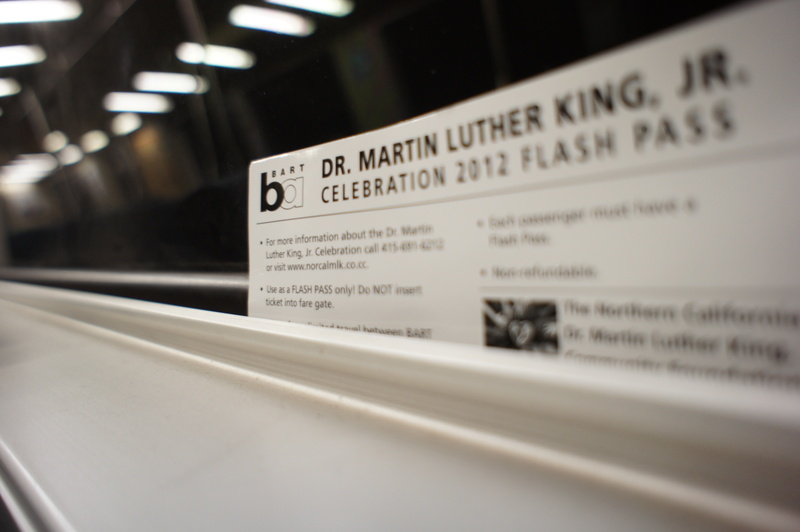 Freedom ride: free BART ride on MLK Day in the Bay. A biker on MLK Dr. in SF. 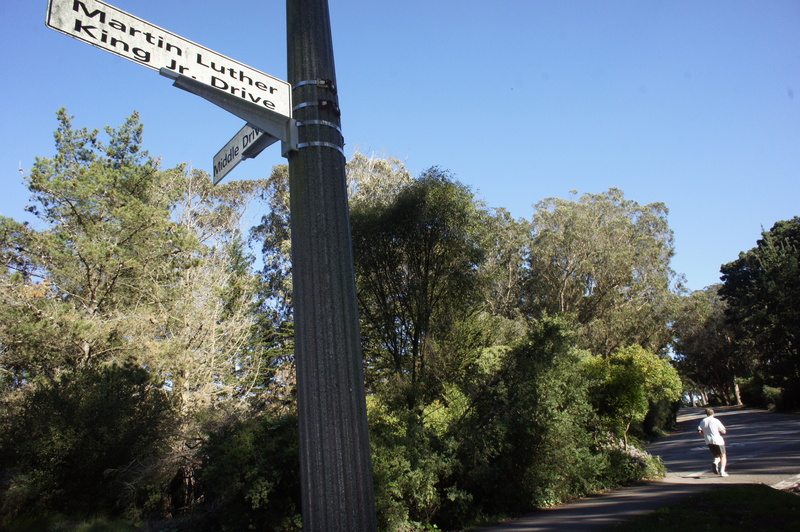 MLK Drive in a nice neighborhood. I didn’t spot any RIP murals, graffiti, lower income housing, or any Black people. At all. 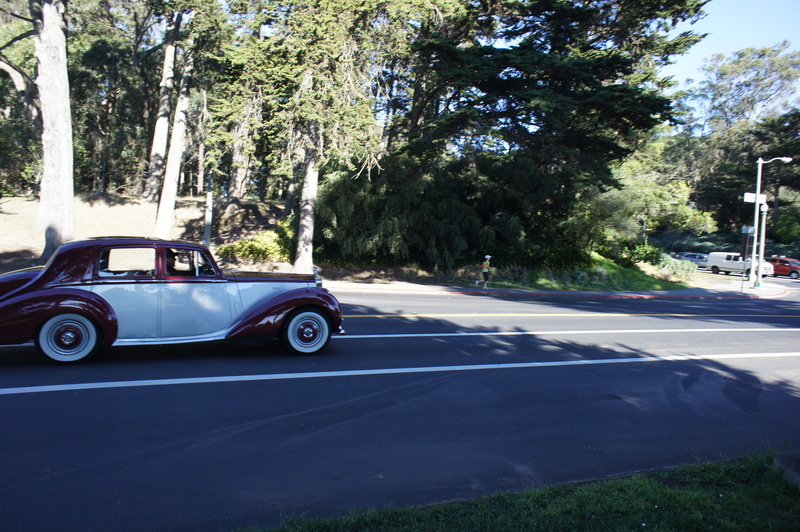 An ole school ride and a jogger. 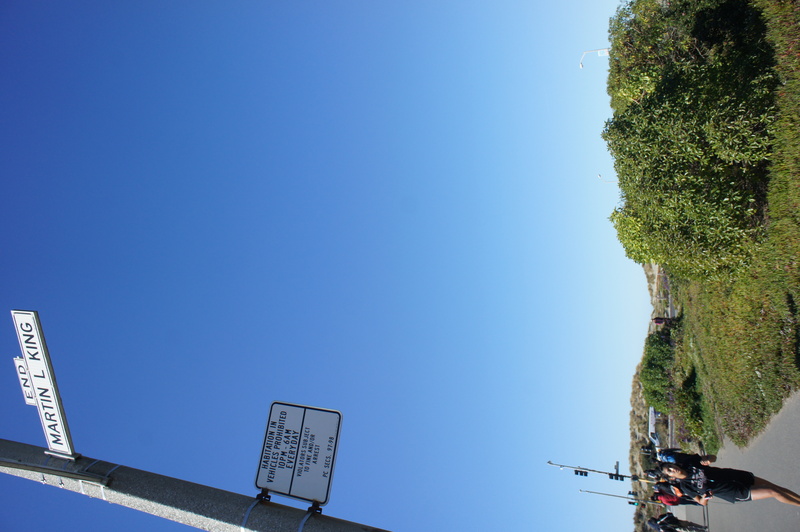 A jogger and a beach at the end of San Francisco's MLK drive. 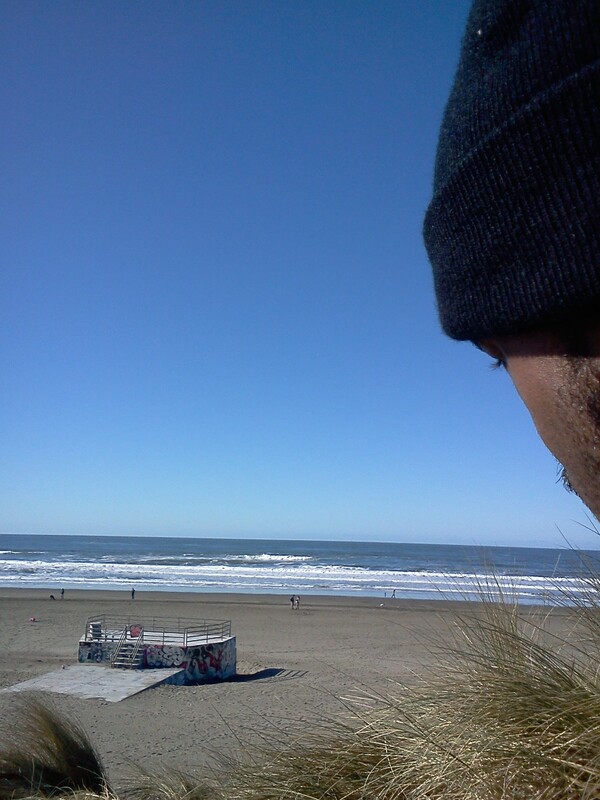 As I came out of San Francisco’s Golden Gate Park, I ended up at the beach, Ocean Beach… At 12 Noon… I was listening to BIG’s instrumental for “Juicy”. I hopped off my bike and stepped onto the sand that lead to the Pacific Ocean. 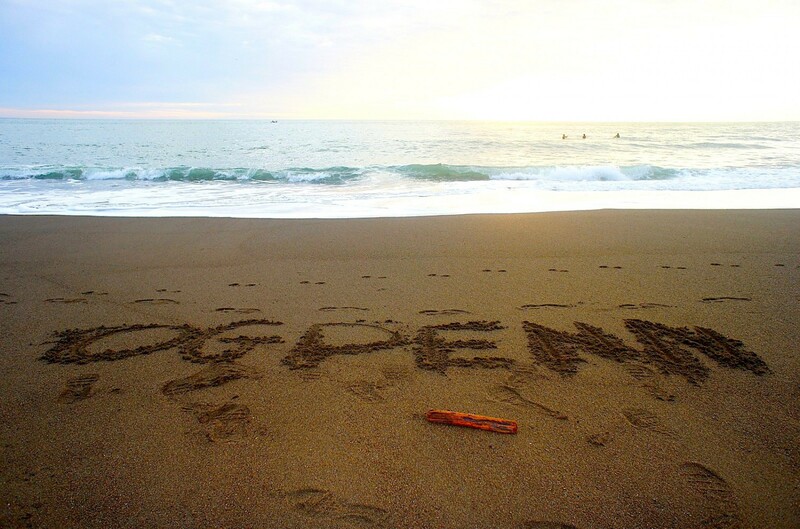 On the beach for MLK Day... let freedom ring. “It was all a dream.”- Christopher Wallace. Why is it so much easier to help other people than myself ? You know that spot on your back where your arms don’t reach? That one spot that always itches but you can never scratch-until you get one of those plastic back scratchers … But of course- that doesn’t suffice: that’s plastic dawg! Yea, that spot on your back where your arms don’t reach, that’s a constant reminder that human beings are social creatures. We need someone to scratch our backs… I mean, we could use trees like California Brown bears do; at least the tree is living… I bet a that’s more sufficient than an inanimate object … I digress. So, my itching- or, uh- burning question: Why is it so much easier to help other people than it is to help myself ? 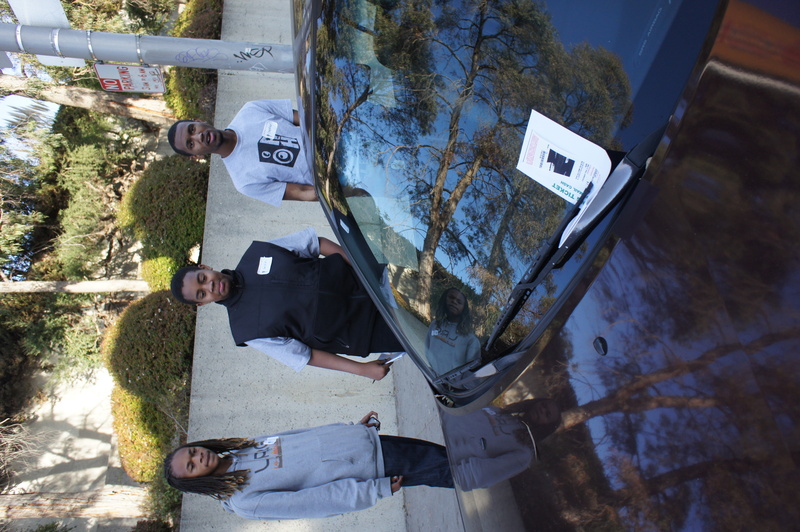 I was awarded a shiny-new parking ticket after taking these young men, amongst other students, to a Saturday afternoon full of workshops full of educational resources. The first thing I did when I came to the realization of this conundrum: post it as my facebook status … and sent a tweet out carrying the same sentiment. “It is called being selfless. And it is a good thing, for when we lend a hand to another, we are in essence helping to improve ourselves.” Benny “Uncle Punch” Andrews said in reply to my post. “For two reasons. The selfless part like Bennie said and also it is harder to see the issues in oneself”- Andrew Meyer. It’s not a total mutilation of self in order to save the world… na, I’m not that nice. It’s not a: save the world, so I can say I saved the world kind of thing either… Na, I’m not that egotistical. This persona is a product of being aware: I see the bigger picture. I see the young person who is affected by the parents who are unemployed … that… Or it’s the elder junkie who is a product of a broken school system, hit a schnide in the game, turned to whatever drugs were readily available in the community… and then whallah! You have my surroundings. And as bad I want to get out of here, that’s just scratching my own back… I want my surroundings to change. So, when I walk out the door in the morning I scratch the backs of fiends , “baby mommas” , marginalized youth, ect, ect… And they say it all comes back… They never said it would come back to haunt me. It’s messing with my mind. “you fall in the same line as a psychologist with this one. Unable to solve their own problems.”- @Truth_Inception. He’s right. I can give people the shirt off my back, but have trouble asking for it in return. She’s right… that’s what I need. It’s crunch time. I’m 24 ½. It’s time to lock in and focus on something great. But all I seem to care about is socializing, the internet, and socializing via the internet! And all of it seems so simple: Just do it, NIKE style. But every time I go to move forward… those same friends that are better than back scratchers- are holding me back. They aren’t exactly back stabbers, but nonetheless, being sociable and helping others and wanting to show the world that I’m solid ( That I have a strong backbone)… all of that is holding me back.